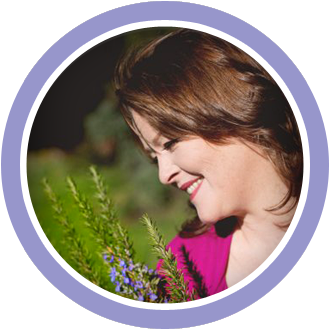 Offered here are natural, artisan-made, seasonal, herbal self-care products made from the heart, for the body and soul. All products are created with love in my apothecary. They are made with devotion to radiant health. I extend an extra warm welcome to those who are new to herbal self-care for having the open heart to try something new. To those seasoned seekers of all-natural products, welcome to my version of alchemy in creating them. It is my great joy to serve in this way. "Quality plant remedies don’t just come from a technique. Good medicine comes from the alchemy of being truly connected, tuned in and in love with the plants by the skilled medicine maker. Deborah's connection with the earth and the plants is so deep and profound." Serving the greater Sacramento area and Northern California. Loyal Sacramento clients come from Fair Oaks, Carmichael, Folsom, Roseville, Gold River, Rancho Cordova, Orangevale, Citrus Heights, Natomas, and Sacramento. People also come in from the neighboring communities of El Dorado Hills, Cameron Park, Placerville, Auburn, Nevada City, Colfax, Marin, Truckee, Tahoe and Grass Valley, as well as extending to the greater Sacramento Valley area including Davis, Vacaville, Fairfield, Lodi, Stockton, and Modesto.